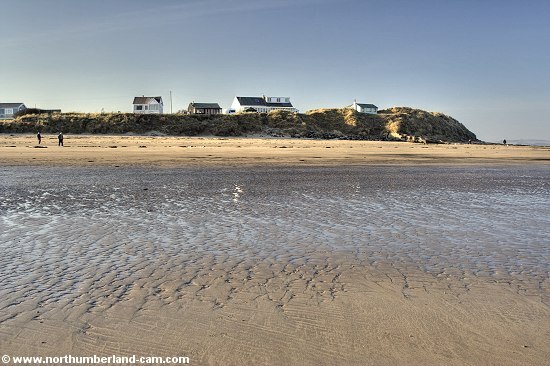 Hauxley Haven is situated between the north end of Druridge Bay and Amble Links. 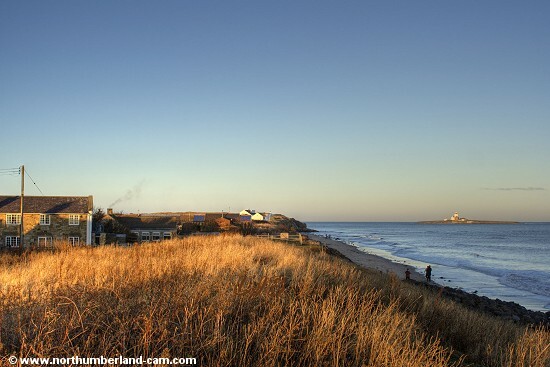 The beach is overlooked by houses that have fine views looking out to the North Sea and Coquet Island. 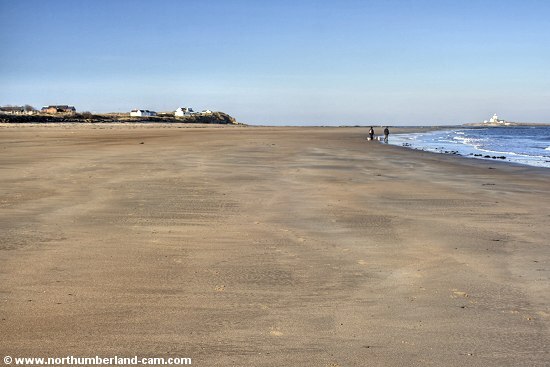 It is a flat beach that is almost completely covered by the tide, but a footpath runs alongside for those walking at high tide. 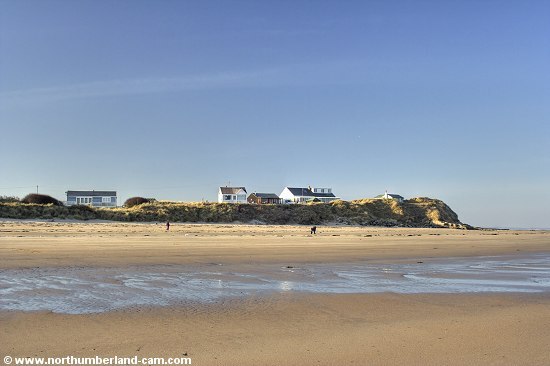 It is a fine beach for walking and popular with dog owners, many of whom probably walk from nearby Amble. 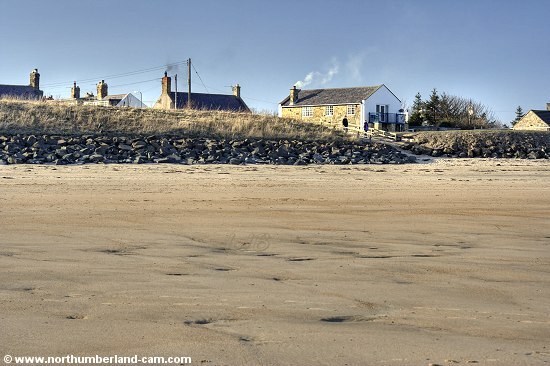 Like many other beaches in the south of Northumberland coal dust still washes up on the beach leaving interesting patterns in the sand at low tide. 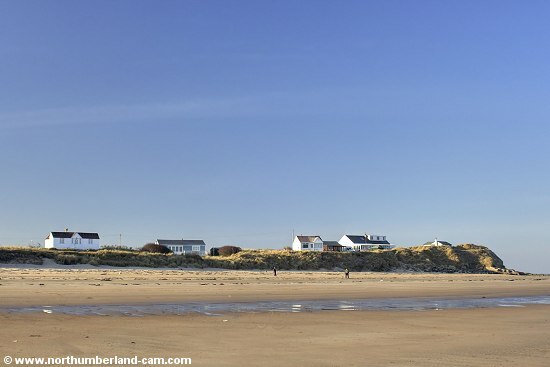 Houses overlooking the north end of the Beach at Low Hauxley. 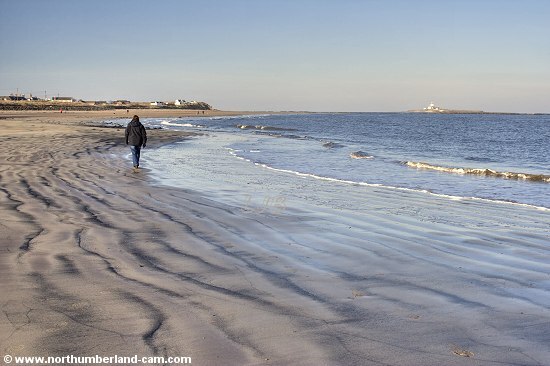 North end of Hauxley Beach with Coquet Island in the distance. Walking along coal dust patterns on the beach. Ramp down to the Beach from Low Hauxley. More views at the north end of Hauxley Beach. View from the footpath above the beach at Low Hauxley on Xmas Day.